The United States narrowly averted two constitutional crises in elections in which a third party won states and electoral votes. In 1948, South Carolina Governor J. Strom Thurmond won four Southern states and 39 electoral votes as the States Rights (Dixiecrats) nominee, the second best third party performance until then, only trailing Theodore Roosevelt’s Progressive (Bull Moose) Party in 1912. Then, in 1968, Alabama Governor George C. Wallace won five states and 46 electoral votes as the American Independent party nominee, surpassing Thurmond’s electoral performance twenty years earlier, making his third party candidacy the second best performance in the entire scope of American history. 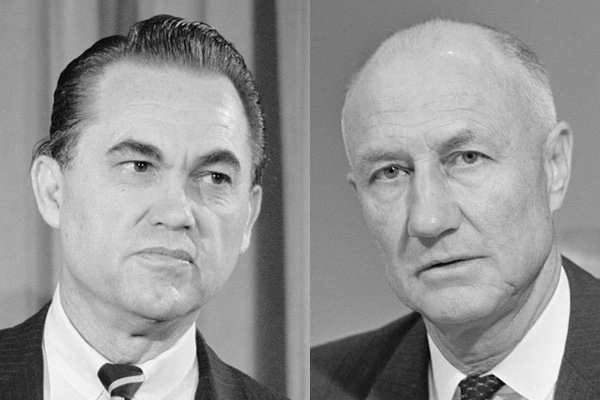 For a long time, the performance of these two Southern segregationists was seen as insignificant, when in reality, both times the nation came very close to a situation in which no Presidential candidate might have gained a majority of the electoral vote, therefore throwing the election to the House of Representatives, where each state delegation would have one vote, and the result would have been a different President than the one who was elected. In 1948, President Harry Truman won the Electoral College with 303 electoral votes to 189 for New York Governor Thomas E. Dewey, the Republican nominee, along with Thurmond’s 39 electoral votes. Truman also had about a 2.2 million popular vote lead over Dewey, and won 12 more states than Dewey, 28 to 16. But three key states—Ohio, California, and Illinois—were won by Truman by less than one percentage point each—Ohio by 0.24; California by 0.44; and Illinois by 0.84. These three states had a combined total of 78 electoral votes, decisive for Truman. But had Dewey won any two of these three states, the election would have gone to the House of Representatives, where Thurmond’s States Rights Party would have had the balance of power with the lame duck Republican Congress, likely leading to a Dewey victory over Truman, despite Dewey having lost the popular vote by about four and a half percentage points. So the third party could have changed the result of the election, and given us a losing popular vote President, similar to the earlier cases in 1824, 1876, and 1888. In 1968, former Vice President Richard Nixon won the Electoral College with 301 electoral votes to 191 for Vice President Hubert Humphrey, the Democratic nominee, along with George Wallace’s 46 electoral votes, a very similar electoral vote result, but with the addition of Alaska and Hawaii to the Electoral College, along with the District of Columbia due to the 23rd Amendment to the Constitution in 1964. Nixon won, however, a narrow margin of seven tenths of one percent in the popular vote, and had a half million vote lead in the total national popular vote. Wallace won 13.5 percent of the total national vote and 9.9 million popular votes, as compared to Thurmond’s 2.4 percent of the total vote and less than 1.2 million votes in 1948. So Wallace was a much greater threat than Thurmond was twenty years earlier. Again, California, Ohio and Illinois, all won by Nixon by three percentage points or less, could have changed the results of the election. Had Humphrey been able to win all three, he would have won the Presidency, despite being behind in popular vote by a half million votes. Had Humphrey won two of those three states or California alone, the election would have been thrown to the House of Representatives, giving George C. Wallace the balance of power, but with the Democratic lame duck Congress likely to have chosen Humphrey over Nixon. Humphrey would have won with far fewer states, as he won only 13 compared to Nixon’s 32, so with victory in California, Ohio and Illinois, it would have been only 16 states for Humphrey to Nixon’s 29, making Humphrey another losing popular vote President, possibly the fifth such case. Instead, the 1948 and 1968 elections resulted in the popular vote winner taking the Presidency, and to see a popular vote loser become President, for what would be the fourth time, occurred in 2000, when George W. Bush lost the popular vote by 540,000 and half a percentage point behind Vice President Al Gore, the Democratic nominee. One must wonder how a President Dewey would have dealt with the Berlin Blockade, the Korean War, and the Cold War in general. And since his Vice President would have been California Governor Earl Warren, the likelihood of Vice President Warren succeeding Dewey after two terms in the 1956 election would have led to very different results, than having Chief Justice Earl Warren appointed by President Dwight D. Eisenhower to the Supreme Court in 1953. One must also wonder how a President Humphrey would have resolved the Vietnam War, with the assumption he would have ended that war sooner than Nixon did. Also, there would have been no Watergate Scandal and no resignation of the President as occurred with Nixon. A President Humphrey in his second term would have been diagnosed with cancer, likely, however, finishing his term, and Vice President Edmund Muskie might have succeeded him in the Presidency in the election of 1976. 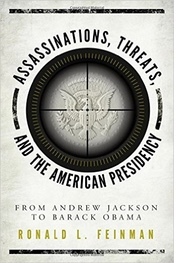 So history was certainly transformed by the development that both Truman in 1948 and Nixon in 1968 were able to win enough electoral votes, as well as the national popular vote, despite the third party challenge of J. Strom Thurmond in 1948 and George C. Wallace in 1968. The question that looms in 2016 is whether Gary Johnson, the Libertarian party nominee, who is gaining 9-15 percent of the vote in public opinion polls in a number of states, could possibly win either Mountain States or New England States by a plurality, as discussed by this author in a previous HNN article on July 31, and prevent either Hillary Clinton or Donald Trump from winning 270 electoral votes, therefore throwing the election to the House of Representatives as could have occurred in 1948 and 1968, but thankfully, was avoided both times.